I was on pins and needles, in waiting for the release of We Need to Talk About Kevin because I had read Lionel Shriver's book this summer with trepidation and utter involvement. 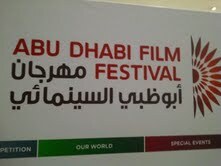 My patience was rewarded at the Middle East premiere with a screening at the AbuDhabi film festival. 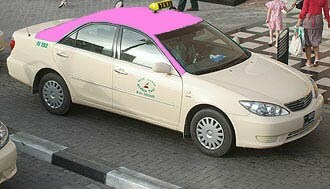 Drive all the way to AbuDhabi for a film? My fellow cinephile friend who had read it upon my insistence swore we had to! 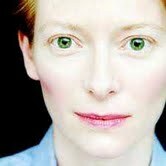 Tilda Swinton played the role of Eva to perfection and with the perfect gravity. I couldn't have imagined a more perfect match than Ezra Miller for Kevin, the new and hot star (move over Twilight dudes!) While I thought the acting was excellent, I did find imperfection in the interpretation of the novel. They can always get away with the "based on the novel...." to excuse the over-emphasis, or complete passing over some aspects or the other of the book. I think the opening scene, of the tomato fiesta or the numerous "office culture" scenes were wasted footage. They should have concentrated on the more important secondary roles, namely the babysitters and the peers (and victims) of Kevin instead. As mentioned previously, the mother and son are winning interpretations: their personalities and interaction are impressively rendered. But what about the father and the sister? Their stories were more important in the book and were barely breached in the film. Last, the chronology was mixed deliberately in order to confuse the viewer in a few hours, the way Lionel Shriver can confuse the reader over the few days it takes to devour her tale. However, in the movie, the obsessive scenes are never quite the right ones. The symbols are not always there (the glass eye) and the prison conversations, which were happenings in the book, are quickly brushed over, even though the splendid actors make up for those drawbacks. I urge you to read the book before you see the film. Knowing the original story adds another dimension to the film.....which is otherwise missing. Unfortunately I saw the movies,and luckily I don't need to read the book.A woman who is so selfish to carry an unwanted baby and go on an evil duel with him that culminated in a massacre a la Americaine was not necessary.Women like her should be castrated to avoid things like this from happening,and innocent lives to be sacrificed.